15Two thousand twenty. It seems just a number, but when we write 2020 it is a year again. And perhaps it seems a far year, wrapped by a mysterious aura. 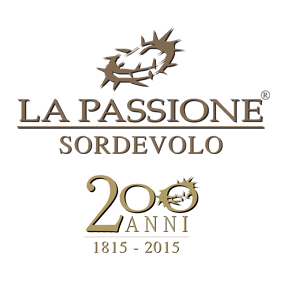 Notwithstanding in the 2020, in the next four year, the Passione di Sordevolo will be born again. It seems to be a long period before people can watch one of the most impressive and ancient performance of popular theatre in all Italy again but, to the organizer and the people “behind the stage”, four years are really not so long…. Yesterday afternoon, Friday October 14th the new organization-chart has been introduced to the local press. Several posts have been confirmed, but there are some new entries . First of all the apex office, given to Stefano Rubin Pedrazzo. He is now the new President, but his ‘cursus onorum’ inside the Associazione Teatro Popolare di Sordevolo began in the early ‘70s, when he played as a little devil. Then he was a horse Centurion and in the Spring 1994 he became a member of the board of Directors, walking into the footsteps of his father Renato. Laura Fontana, unforgettable Director Pier Felice Fontana’s daughter, will be the new press agent. She covers the place of Andrea Caprio; after a cooperation lasted 15 years he’s left the office, it could be to get back to play. Among the new members of the Board of Directors there are: Anna Pidello Girino, secretary; Giuseppe Danasino, really not a new entry but a comeback; Flaminia Perino, one of the three Magdalena, delegate for the young people of the Passione.